Have a wellness question? 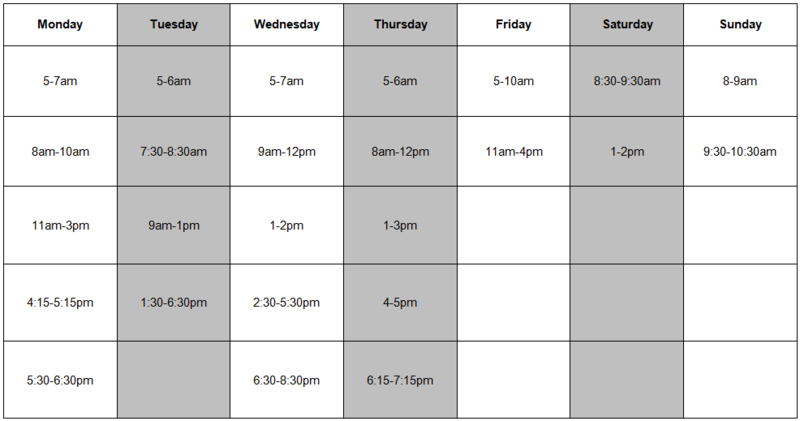 Find one of our Health & Wellness Coaches on the fitness floor according to the schedule below. They will help recommend a program or class to fit your needs, give you advice on how to properly perform an exercise and much more!